The authors report on the use of technology to reduce the administrative burden of tumor boards while improving the quality of care delivered. 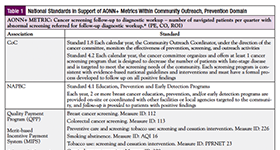 Resolve to Implement AONN+ Metrics in 2018! 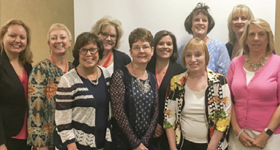 The Academy of Oncology Nurse & Patient Navigators and Sarah Cannon, the Cancer Institute of HCA Healthcare, have announced their partnership in a pilot validation study of the 35 AONN+ standardized metrics for navigation programs.